Using picture books as a basis for rich, core competency discussions. 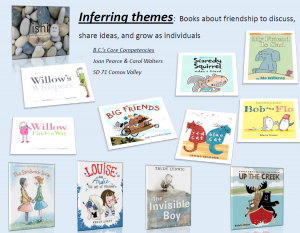 Please click on the link above to see the full list of picture books that lend themselves to rich conversation about the core competencies. 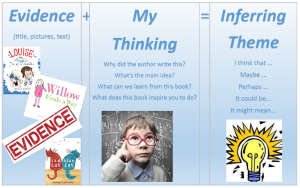 Inviting students to infer theme, besides being a great way to deeply comprehend text, will offer an opportunity to further establish classroom culture and create citizenship.